Christiane F: France; RCA, BK 43606; 1981. Bande Originale Du Film “Moi Christiane F”. The cover has a black border on the front panel and spine; yellow spine and rear panel with ‘Référence RC 450” on the bottom of the spine on thick glossy paper. Track list on the inner and rear panels. 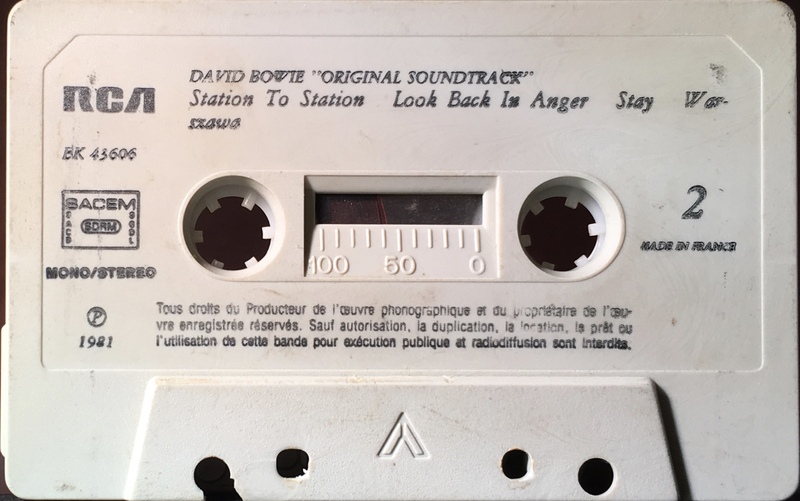 The cover photo is a copy of the French album sleeve. Black ink printed directly to grey shell with track list. SACEM rights logo. 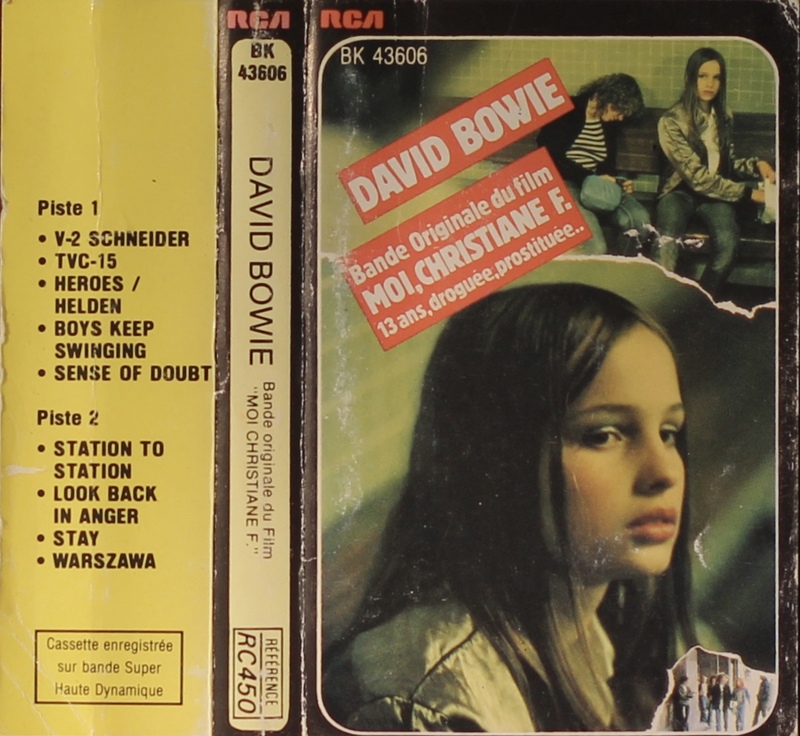 Information in French but the French title, ‘Bande Originale Du Film “Moi Christiane F” is not used and ‘Original Soundtrack’ is used instead. 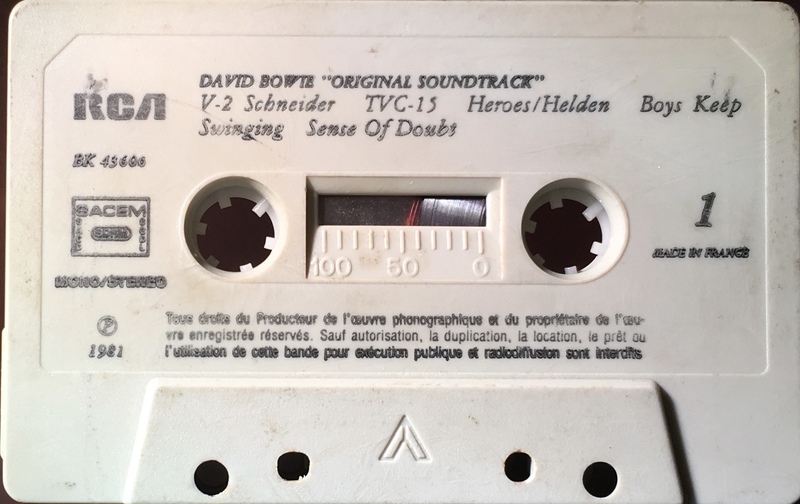 Red lead in tape marked ‘Sonos Tape’. 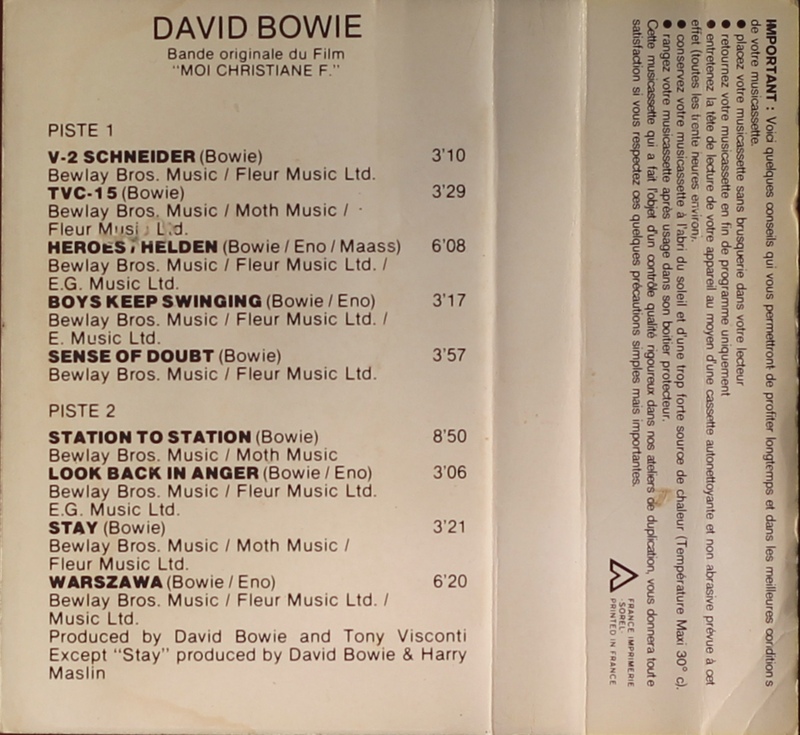 Side 2: Station To Station; Look Back In Anger; Warszawa.